So you're fed up with Google, and you've got a litany of reasons. More now than ever. You don't even have to explain—we're just here to help you crawl out from under the shadow of the big G, step by step. Anyway, we're not here to make the case for you to drop Google altogether—it's not something I'm prepared to do, for a start—I'm just here to tell you how to do it. Here's everything you need to know about life after Google. Give it some time and some patience, and you'll realize that it's pretty damn good. Some bits are actually better, like image search. And even if search isn't perceived as the biggest threat to your privacy, it's important to make the switch anyway—after all, it was Google search that was the gateway to all the other Google services, which you're now trying untangle yourself from. Google+ was patient zero in Google's mad information grab, and while it might not have gotten the foothold Google hoped for, a decent chunk of folks have ditched Facebook because of its shoddy track record of privacy foibles. That game looks a lot different now, especially since Facebook made a deal with the FTC in November that forces it to obtain consent before sharing your information or changing your privacy settings. And hey, we actually really love Timeline. Combined with Twitter's popularity and more focused networks like Foursquare, abandoning Google's ghost ship shouldn't mess you over too badly. This one's going to be a big stumbling block for a lot of folks who have become dependent on Google's VOIP with Google Voice, but there are other choices out there. Ooma, for one, is a great service with a good app, good devices, and a bunch of features if you sign up for a subscription, including a second line, three-way calling, call forwarding, and enhanced voicemail features. Or if you're just trying to hop on the line for a quick call, Skype is an old and still exceedingly popular standby. Bonus points here for replacing Google Hangouts, if that has somehow become an integral part of your (apparently low expectation-having) life. There won't be any getting around YouTube and its stranglehold on web video, but that's not a problem. You can view almost all of the content on YouTube without signing into a Google account. The issue is with storage, and YouTube is the biggest user-generated video host on the planet—and free. Vimeo is probably next in line as far as having a place in the internet's consciousness, and it's a totally worthy alternative. For one, it's where most of the serious video projects will be posted primarily. So if you're uploading as a professional, you're probably using Vimeo already. Then consider that the comments are mainly positive, and not the horrible cesspool that YouTube's are. Tech-wise, Vimeo's just fine, too: It's got a fully embeddable HTML5 player that's viewable on pretty much all mobile devices. It's tough to get out of your contract if you're locked in on an Android phone. But if you're up for an upgrade some time soon, and you want to sidestep Google's info-grab, you should take a long hard look at Windows Phone. Yes, there's the iPhone. That's really great. But Windows Phone is a totally fresh take on phones, and if you're going to be an Android expat, you should take a dip in the totally-new-and-different pool before trudging back to familiar waters like iOS. Does anyone actually use Google Music? We're skeptical, but Amazon is a pretty great alternative to whatever you're using. It's generally a notch or two cheaper than what you'll find in other marketplaces, with frequent and good deals to boot. We couldn't cover every last Google service and piece of software, so if you have more tips and alternatives to share, please drop some links in the comments. 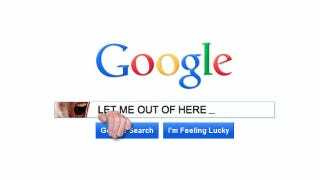 This post was originally published February 20, 2010, and has been updated to be current with our recommendations for getting off the Google mothership.